222 pages | 30 B/W Illus. 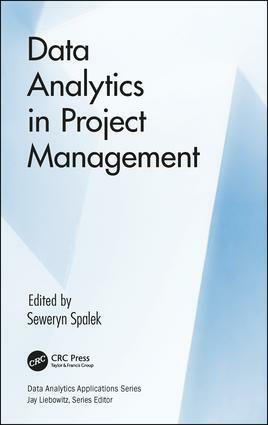 This book aims to help the reader better understand the importance of data analysis in project management. Moreover, it provides guidance by showing tools, methods, techniques and lessons learned on how to better utilize the data gathered from the projects. First and foremost, insight into the bridge between data analytics and project management aids practitioners looking for ways to maximize the practical value of data procured. The book equips organizations with the know-how necessary to adapt to a changing workplace dynamic through key lessons learned from past ventures. The book’s integrated approach to investigating both fields enhances the value of research findings. Seweryn Spalek is an academic professor and head of the CS&E department at the Faculty of Organisation and Management, Silesian University of Technology. Since 1994, he has managed several projects in industrial companies and healthcare organisations, in multicultural and multinational environments. He is the author and co-author of several publications in project management. He participated as a speaker in several conferences related to project management and company management. He carried out research related to key success factors in project management and project management maturity.